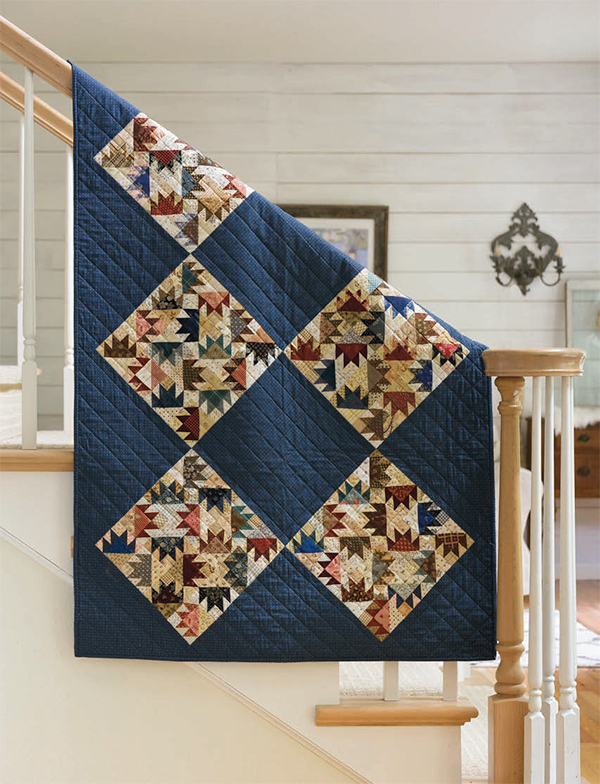 Capture the old-fashioned feel of quilts from the Civil War era—and make it fun with this gorgeous collection of all-new Country Threads quilt patterns! Mary Etherington and Connie Tesene’s signature make-do style comes to life in Beyond the Battlefield. 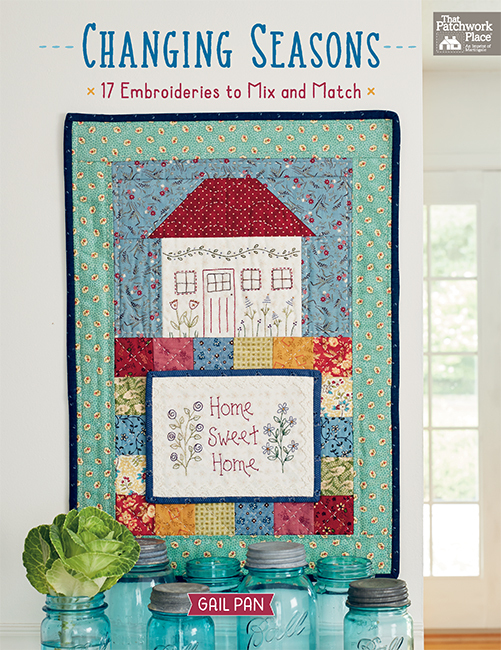 Inside, you’ll find 14 stunning quilts, from small, simple tributes to larger quilts featuring hundreds of scrap fabrics. Born in 1833 in New Orleans, Harriet Wood dreamed of becoming an actress. In those days, it was a rough life with lots of travel, poor accommodations, little pay, and public disapproval. Despite all of this, Harriet took the name Pauline Cushman and became well known for her stage performances. She sided with the Union when the war began and passed information through a Union network of spies. She escaped capture, and when sentenced to hang, she pleaded illness. 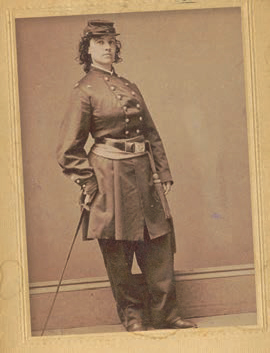 President Lincoln made her an honorary cavalry major, and newspapers called her a heroine. She eventually went west, and when Pauline Cushman died in 1893, hundreds of Union veterans attended the service. She was buried with military honors in San Francisco’s National Military Cemetery. 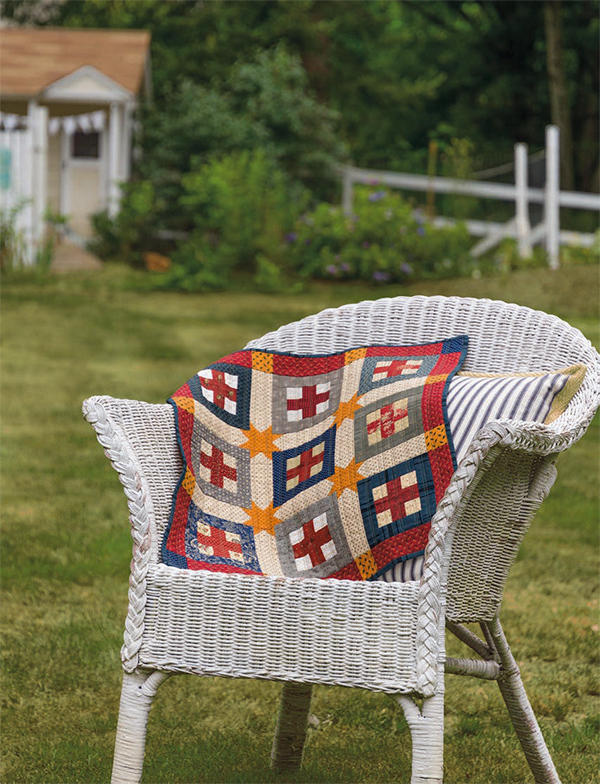 Whether you’re a fan of traditional designs, Civil War fabrics, or scrappy-to-the-max patterns, these stunning quilts are sure to inspire you. What else will inspire you? Our Q&A with Mary and Connie! Stitch This! : Your first two books on Civil War quilts, The Blue and the Gray and Civil War Remembered, were instant best sellers. What inspired you to team up again for Beyond the Battlefield? Mary (right in photo): We love to sew! We may have closed our quilt shop but we STILL LOVE TO SEW! ST! : What’s your designing process like—do you draft a pattern first or gather fabrics first? Do you draw ideas on paper or use a computer? And how do you split the work of creating a book? Mary: I’ve never drafted a pattern using the computer. I wouldn’t even know how! Connie (left in photo): It all starts with coffee! Mary and I meet at our local coffee shop along with bags of books and drawings. We start with what we are inspired by and the techniques that we want to include in a book. We are both old school, working with rough graph-paper drawings. Sometimes a quilt block will lead to a different setting or idea—there’s a lot of back and forth! The invention of the cell phone with a camera has been a real game changer for us! ST! : What’s inspiring you right now? Mary: Our blog readers are inspiring me right now! They’ve loved making our Bullseye quilt (below) from our most recent quilt-along, and now I’m deciding on the next quilt-along that we’ll do. I want our readers to have that satisfaction of a finished quilt, so whatever I choose will not be too difficult. Want to join us at the Country Threads Chicken Scratch Blog? Sign up in the sidebar here. Connie: More like who is inspiring me right now—Zen Chic, Kim Diehl, and Carrie Nelson. Also Magnolia Market—we’re remodeling our basement and I love their take on a modern and antique look. ST! What’s on your sewing table right now? ST! What’s your #1 tip for beginning quilters? Mary: Accuracy in cutting, sewing, and pressing. Get familiar and comfortable with your machine, and remember—this isn’t the last quilt you’ll ever make! Mary: I’ve been a church pianist for 60 years. What’s the last thing you Googled? Mary: How to do something on my iPad. Connie: A recipe for lemon poppy-seed muffins. What movie have you seen again and again? Mary: The Sound of Music. Connie: The Harry Potter movies and The Wizard of Oz. Thanks for answering our pressing questions, Mary and Connie—your new book is absolutely beautiful. What size of reproduction fabrics do you own right now? We’ll choose a winner one week from today and let you know by email if you win. Good luck! And if you’d like to join Mary and Connie for some Civil War–style sewing, order Beyond the Battlefield at our website and we’ll send you a link to download the eBook version for free. We’ll email you about your prize, Sharon—congratulations! I have a few fat quarters of Civil War reproduction fabrics, but a tub full of 30s repros! I don’t have a lot of reproduction fabrics even though I love them. I have some stacks of precuts. I love these patterns and fabrics!! I would love to have some of my own!! I don’t have a lot of reproduction fabrics but I have some yardage of repro fabrics. I have a large collection of fatquarters. I am always looking when I go add to my stash whenever I go to quilt shows/stores. All of the above! I guess growing up on Margaret Mitchell Dr in Atlanta and attending Margaret Mitchell Elementary School, having held numerous foreign first editions of Gone with the Wind in my school library, and having Ms. Mitchell’s brother, Stephen come speak to our classes about "Peggy" to us, as well as her portrait and the portrait of Vivian Leigh as Scarlet in my school library, has made me a Civil War fabric hoarder! I have stacks of precuts that I just received and would love to work on a Civil War quilt. I have 3 drawers full of 20 and 30cm pieces of Civil War repros which I hand cut and hand piece into small civil war quilts. I keep all the scraps too. Looooove Civil War quilts. Thankyou for your lovely post. I have all of the above. I only work in repro fabric from the 1800’s and not the 30’s. But I have done a quilt using 30’s fabric. Fat quarters,and a few of yards of fabric. Working on Hope’s Journey right now! Yardage, precuts and scraps….. oh my! I am a fabric collector and I have lots of all kinds of fabric. All of them. Hopelessly lost in reproduction fabrics. I have to say none of the above. I don’t have any reproduction fabrics. 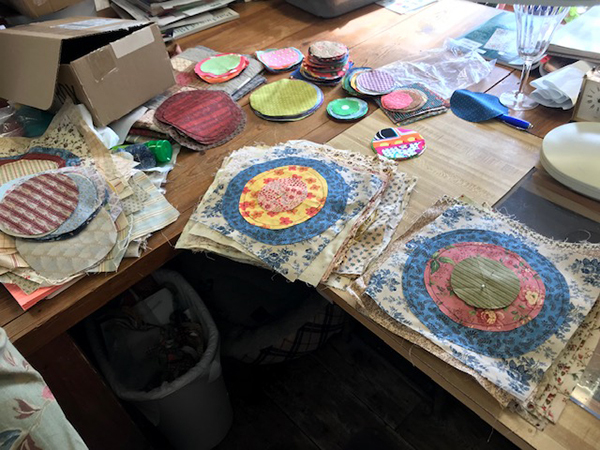 My style is more like Connie’s Bulls Eye in progress… bright and colourful. I have a kit that has Civil War reproduction fabrics but haven’t started to work on it yet. Also have some 1930’s reproductions. I’ve already seen several quilts in this book that I would like to make. Scads of yardage and lots of scraps; for some reason, I have no precuts in Civil War reproduction fabric. All of the above & I want to make more!! There are some beautiful patterns in this book. Hope my name is drawn! All of the above!! Civil war reproduction fabrics are my favorite! All of the above, I love 1800’s repros. Most if not all of the quilts I make are in this style of fabric. I would love to win this book. I have loved these two ladies since I discovered quilting in the late 80s. My stash is mostly fat quarters of civil war reproduction fabrics with a stack of favorite c.w. yardage. I love every quilt in this book! Yardage and precuts. Not too much in the way of scraps. Civil War reproduction fabrics are my favorite. I have lots of yardage and scraps from completed projects. I am always on the lookout for inspiration and this book looks wonderful! I have scraps, scraps, and more scraps. I’ve made a lot of reproduction quilts and can’t bear to throw away any of the leftovers! All of the above is SO true. I own scraps of reproduction fabrics. I love Civil War era fabrics and have bought some by the bolt! This book looking amazing with designs I’ve never seen before. I would love to win!! Thank you for all your great designs. I did some reproduction costume sewing years ago for a historical society here in Denver and loved the fabrics! I only have a few scraps left but have been drawn to them and the quilting books you have at Martingale. I am a quilter as well and would like to try my hand at a reproduction quilt. The colors are so soft and comforting. That is one beautiful book. I have lots of fabrics ready to cut for this. I have yardage and scraps. I don’t tend to buy many precuts. I absolutely L O V E reproduction fabrics and would say the majority of my stash is reproduction fabrics with "scads of yardage" and "stacks of precuts", my "scraps, scraps and more scraps" will be donated to our local guild. I have scraps and some yardage. I love reproduction fabrics so buy small amounts of several. I only have very few scraps. All of the above! But mostly fat quarters! Love it!!! All of the above. I love reproduction fabrics. I just finished my Bullseye quilt which I started 18 years ago. Thanks Mary. Never enough OLD! need this book. Have lots of ALL. Owning 1860 home this needs to be on my coffee-table and want to stitch up a few "new" oldies. My how you sew inspire! I follow Mary and Connie’s blog and do some of their quilt alongs. I’m drawn to Civil War/repo fabrics as evidenced by the tubs of fat quarters, boxes of scraps and shelves of yardage! Would love their new book to help me make a dent in this stash of fabric. Have some beautiful florals in fat quarters right now for which I need some reproduction ideas. I love the civil war era patterns, not so in love with how dark they seem to be, the antique ones I’ve seen are all faded, so I always seem to want to START with muted shades, and add lighter creams rather than the heavier khakis and brown backgrounds. I want to do Hiding in Plain Sight, since I’m drawn to the Irish Chains and Jacob’s Ladder right now! and thank you for their comments on computer designing: I think about it, then decide I wouldn’t use it enough for the price and pull out the graph paper again! I only have a few pieces but would really like to do more. Scads of yardage and pre cuts galore! Wish I could just get a tenth converted into quilts. That would be a start! Currently I have very little reproduction fabric. I love the fabrics and would like to make a few of these quilts as I myself am a history buff!! I’m really not sure how to tell if I have civil war fabrics! But I love the hues of the fabric! I have pinned several patterns from Pinterest! I really like them! The colours are muted and yet vibrant! This book would be awesome! I have fat quarters, yardage and scraps. I love to make mini quilts and wheelchair quilts for veterans. The veterans love the old looking quilts Mom and Grandma used to have. I have fat quarters, yardage and scraps. I love to make mini quilts and wheelchair quilts for veterans. The veterans love the old looking quilts Mom and Grandma used to have so I use civil war fabric. I’m just getting started with making reproduction fabric quilt, so I currently have a collection of fat quarters (my favorite starting point for quilting projects), but I will soon have lots of scraps as I work my way through this book! I love precuts! I have jelly rolls and layer cakes. I have a few yards of Civil War reproduction fabrics: enough to make the two projects I’ve planned in tribute to ancestors who were soldiers during that difficult time. All of the above in 2 bin stacks in my sewing room. Lots of fat quarters,scraps and some yardage. More than enough to make some of the quilts from this lovely book. I have stacks of precuts of civil war reproduction fabric. Would love this book! I have mostly fat quarters and some half yards and one yard cuts. I am beginning a Civil War Sampler quilt for a wedding present this month! I don’t own any yardage, just some precuts and lots of scraps! I have yards and yards of fabrics as well as scraps! I also have two civil war quilts in progress and more fabric just waiting for the perfect pattern!!! All of the above. It looks like an interesting book with beautiful patterns. I love the Caring Hands pattern. Absolutely my most favorite fabric. I have all the above and always looking for more. I have lots of yardage. I need an inspiration to use it. I think this book may be just what I need to finally get started. Scraps and more scraps. My goal this year is to sew mainly from my stash. Fabulous quilts! I have mostly fat quarters. All of the above, and I need to sew them into quilts! Yardage and fat quarters, and quite a few bits and pieces left over from previous projects. I love the reproduction fabrics! My first visit to Country Threads was in 2000 for Quilt Camp, sewing in the loft of their barn. Years of friendships, fun times sewing and shopping for reproduction fabrics followed. I have scads of yardage! I have several pieces of yardage I would love to work with! I would have to say that the majority is in scraps, since I just cannot throw any fabric away. I only have small yardage and scraps because that is all that is left after making MY Civil War Quilts. I have some precuts and scraps that would look great in several of their beautiful quilts in their book. Reproduction fabrics are my favorite. I’m forever drawn to the colors and patterns. Would love to win this book to say, I want to make this one, and this one, and this one, etc. And do it! Some yardage, but mostly scraps, scraps, scraps. Lots of yardage and I have been waiting for the inspiration to cut into it! This book looks SO inspirational! I have yardage! This book would inspire me with how to use them beautifully. Scads and scads of “all of the above”. Civil War repro fabric has made me into a major scrap hoarder! Can’t wait to see this book. I have a lot of fat quarters that I have piling up to use! I have mostly some scraps and a few precuts. I think this book would probably inspire me to get more!! I have all of the above fabric, yardage, fat quarters, charms, scraps, etc. This book is as wonderful as the authors! Definitely all of the above! I worked at a fabric store for 7 years. I have so many quilts that I have planned in my head and often have purchased the fabric for them already. I also love to buy precuts so that I can get all of the fabrics in a collection. I have a ton of precuts. I love civil war reproduction quilts. They fit into my 1893 home quite well. Love the blog Chicken Scratch. Have a variety of different fabrics. Scraps, scraps and more scraps plus some yardage. This book looks marvelous. Civil War Reproduction Fabrics are the best. I have lots of yardage, quite a few precuts and many scraps. What a lovely book; I’d love to win a copy. Thanks for offering this. when I think of quilts, its just a simpler time. I have lots of scraps right now, no precuts, and no yardage of Reproduction fabrics. I need some retail therapy for this. All of the above!!! I only buy reproduction fabrics. That is what a quilt is to me when I imagine it. I am not a modern girl at all.Love the simpler times! I have yards of reproduction fabric and need some new patterns to use my stash. Stacks of precuts, a basket of scraps and some yardage. And I am always looking for more, especially to make some of the quilts in this book. All of the above, for sure! I own the first two books and will be adding this one to my collection–looks great! Scraps, scraps, and scraps! I love scrappy quilts! I, sadly to say, have next to none of the reproduction fabrics, but love their color and richness. These patterns look very do-able and have such variety that this is a book that I would use and enjoy! Thanks for this opportunity to win! I mostly have fat quarters. I’ve been gathering them up for another quilt, but I have more than enough for several quilts. The ones in this book are beautiful! A few fat quarters is all I have. Hoping to get more in the future. 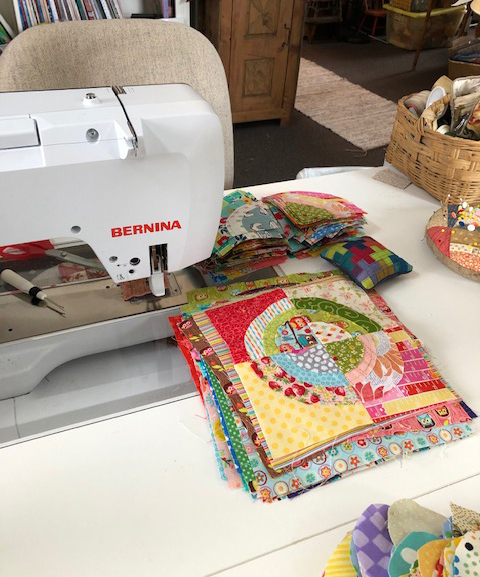 Scraps, scraps and more scraps……I love to make quilts with my antique fabrics. Really neat book that I would love to add to my collection of reproduction quilts! My fabric inventory includes some Civil War reproduction fabrics in mostly 1/4 yd cuts & a few scraps. I have scads of yardage and lots of scraps. Love the Connecting Threads books–they have such interesting settings. I have many scraps that work well in so many projects. Thanks for offering this book. I LOVE Civil War reproductions! Right now, all I have are a few charm packs and loads of scraps. Oh, and a top waiting to be quilted! I started with a few pre-cut collections of civil war repros, then somehow it all exploded! I have yardage and scraps and A LOT more pre-cuts now. This book will help me make a dent in it! but they are certainly represented in my stash! I am and always been intrigued by the bullseye pattern shown in BEYOND THE BATTLEFIELD. Would be a fun one to try. Thank you for the offer. Mostly precuts. Lots of scraps! I can see that stash increasing with the patterns in this beautiful book! Scads of yardage and loads of scraps. This looks like a beautiful book. I would love to get a copy. I have a little of this and a little of that and not much of anything in the line of Civil War reproductions…I use them up as fast as I get them because I love them! Civil War. We have visited some of the battlefields he fought on near Richmond, Virginia. He is listed several times in the Richmond Civil War National Park . I really need to make something just to honor his service. This book would be an excellent starting point. I so love civil war repo fabrics, I have tons of all of the above. Would love to own this book. I mostly have fat quarters but I have lots of those! Not much in yardage but then I’m a scrap quilter! I’d love to win this book! I have tons of reproduction fabrics just waiting to be used! fat quarters, yardage, precuts, scraps, panels – all of the above! I have stacks of precut reproduction fabric and scraps! I also love the Civil War era fabrics! All of the above. Love reproduction everything! Thanks for the opportunity to win this book full of eye candy. I have tons of scraps, which I love. I miss their shop, this book looks fantastic! All of the above! I love civil war reproduction fabric and buy lots of fat quarters for the variety. I also buy yardage if I find a sale and for borders. I make lots of small quilts, which produces lots of scraps, which I use to make more small quilts! I love Mary and Connie’s books and patterns, and can’t wait to get this newest one! Most of my stash is reproduction fabrics.so I guess my answer is "all of the above". All of the above! I love civil war fabric. I’ve been anxiously awaiting this book. Gorgeous projects! I have mostly fat quarters and a little yardage. I love the patterns in the book! Can’t wait to make one or more! I have mostly fat quarters and a little yardage. Can’t wait to try a couple of the patterns. Probably scraps, most of which were given to me. All of the above! Thanks for the chance to win this book. Love Mary and Connie and their quilts! Yards and more yards of reproduction fabrics. Actually, I don’t own any reproduction fabrics. But I’ve made 17 Quilts of Valor, and these patterns look perfect for that!! Thanks for the chance to win. I actually have very few reproduction fabrics but the book looks lovely and the stories are an added pleasure. I’ve loved Civil War fabrics for over 22 years!! We specialized in them in my shop in Plano TX (closed in 2001) and also had popular classes in big stitch quilting to use on them. My personal stash is hoarded, petted, loved, cared for, and now needs some new ideas for putting them into more quilts! Scraps, scraps and more scraps! This looks like a fabulous ‘must have’ new book from Mary and Connie. I have a little bit of yardage and a few fat quarters. I have yardage and scraps as well as a few pre-cuts. I love the look of reproduction fabrics, but also have a wide variety of other fabrics. None! Maybe it’s time to start. I love reproduction fabrics, but only have a few precuts. I like to use them up! I have fat quarters, yardage and scraps from a table runner. I love civil war fabric. I have just began my reproduction collection! All of the above. The first quilt I ever completed was reproduction fabrics and is on a friends "to buy" list as soon as he finishes the companion wood project. All of the above! Reproduction fabrics are my fav! I have tons of reproductions. I have been collecting forever, I’ve always loved these ladies and their quilts— currently have “Wear Warm Clothes” handing in my entry. Love all their books and patterns. I even still have snippets left of some of their fabrics by Benarex🤪Love Country Threads! I have scraps, scraps, and more scraps. Love your quilts!! I have a little bit of yardage and some fat quarters. Of all my fabric "collections", civil war reproductions are probably my smallest. I like them, but not as much as orientals or batiks. Did you know that some civil war repros make great linings for oriental bags. I found this out totally by accident – I was working on a small civil war quilt and picking out fabric for my next oriental bag and some of the fabrics just happened to be laying next to each other and they looked great. So I tried it with some other combinations and now I try to find one whenever I can. I have loads of scraps from the many quilts I’ve made and the FQs I love. Thanks for the giveaway. Lots of yardage and lots of scraps — just love the colors of civil war reproductions. What a fun interview! As for the repro fabric: All of the above! I so enjoy the Country Threads blog! I have scads of reproduction pieces from larger cuts to small scraps. They are my favorite fabrics! Yes, I have some civil war fabric in all sizes. Having a new book with new patterns for civil war guilts is exciting. I have a few scraps of Civil War reproduction fabrics but would love to make more quilts of all sizes from this era!! I only have 2 small bins of reproduction fabrics. One bin is 30’s and the other is CW fabrics. I use them up too fast to accumulate much! I have a few pieces of yardage. Beautiful quilts! This book is one that could be worn out by just viewing the quilts, long before you get to the actual making part. My Civil War stash is not nearly as large as I would like. I need to start buying more…any excuse right! I have tons of Repro fabric left over from Civil War kits and patterns, but not too many precuts. Since I cant seem to discard the leftovers, so scrappy patterns are ideal! I have mostly yardage and scraps. I love the quilts in this book!I have most of the books Connie and Mary ever published and would love to add this one to my collection. I am basically a batik girl, but am branching out and have fat quarters of Civil War reproduction fabrics. All of the above! The majority of my stash is CW reproduction fabrics. All of the above except for precuts. CW reproductions are my favorite fabrics! The quilts in the book are awesome!! What an awesome set of patterns. Great article about the authors. I have scads and scads of reproduction yardage. Quite scary actually. I need to get sewing! I have scraps! I mentioned that I would like to make a scrappy Civil War eta quilt but I wasn’t sure where to start to a group of quilting friends. One of them graciously gave me her scraps! This book would definitely get me going on my next project. I have a stack of precuts – just getting started. I tend to buy bright colors, but I love the Civil War quilts, so I am slowly adding reproduction prints to my stash. I love several patterns in this book. What a great place to start! what lovely quilts! have some saved fabrics that would look lovely in these patterns, the hard part would be deciding which one to make first, thankyou for allowing me to enter your drawing! A collection of curated fat quarters that desperately need some pattern inspiration to turn into a quilt! Scraps and precuts. I have just started to get into reproduction fabrics. I don’t know why it took so long. I am really drawn to them at this stage in my life. I think the book would be wonderful to own. All of the above – and then some! Very little – Civil War prints are not really available in Canada. It’s mostly modern style fabrics in my area right now. I own scads of yards ago of reproductions. My quilt store has civil war fabric to buy. So over the years I have bought many yards of it. Scraps and some fat quarters. I have both yardage and fat quarters. I love scrap quilts from this period. Actually, I do not have any Civil War Reproduction fabrics, but I have LOADS of 1930’s repro fabrics! No Civil War Repro fabrics, as of yet…which isn’t to say that mightnot change! I buy mostly yardage but have some precuts and a lot of scraps too! I love Country Threads books and keep up with their blog also-Mary is such fun to read! I have 2auilt kits with reproduction print fabrics, and a few UFO’s. This book looks very beautiful! I have it all and they are just waiting to get used. I like all of the quilts in this new book and can’t wait to get sewing on them! All of the above: yardage, fat quarters, jelly rolls, and lots (and lots!) of scraps from making quilts from previous books from these two marvelous designers! I only have a few pieces of yardage and a lot of small scraps and fat quarters but I’m always searching for good ones. They don’t sell them where I live and it’s hard to tell what they really look like on the computer. Love the new book! I love civil war fabric and have it all!! Have yardage, fat quarters and lots of scrapes. Love them all. Shelves full! I am always looking for new ideas and inspiration to make a dent. Lots and lots of fat quarters! And a little bit of yardage. That’s okay — I can always buy more! I actually have very little but, I would gift this to my sister who loves anything civil war related and is a quilter with lots of yardage and scraps. I’m very happy to have quite a collection of Civil War reproduction fabrics in sizes from big to small. The colors and patterns are so attractive to me and I enjoy making quilts out of them- especially since I enjoy the traditional patterns the most. I’d love to add Mary and Connie’s new book to my collection of Civil War patterns. It looks like it hit the Bullseye! I have yards and tons of scraps. I love the new book. Yardage and a few precuts for good measure. Only precuts, I’m waiting for the perfect pattern, the. I’ll get the background, boarders and binding after I find the pattern. I would have to say ALL OF THE ABOVE…I am a reproduction girl…I also worry some day all the great reprod designers will be retired and there won’t be anymore reproduction fabric, so that being said, I have a pretty substantial collection of reprod fabrics and I love everyone of them. I don’t have much in the way of civil war fabrics, but looking at the quilts I’m beginning to think I should collect more. Thanks for the chance to win the book. Fortunately, or unfortunately, all of the above. It would be wonderful to get some new ideas. Thanks. Precuts and scraps, scraps scraps! All of the above!! I have their other books and will this one to my collection. It’s mostly scraps so I really need this book to use them up! If have scraps from a block of month , some yardage, and lots of precuts. Wanna use them for something beautiful and to honor my great-great grandmother who was a nurse in the rotunda of the capital n DC during the war. I think I would have to say I have some of everything. My repro drawers are bursting and this book is sure tempting me to get into them and sew. I have precuts but they are fat quarters mainly. Lovely book! Because I love scrappy looking quilts, I have mostly fat quarters and fat eights. I have yardage, fat quarters and scraps that are eager to find their way into Civil War quilts. It looks like an interesting and intriguing book. Let’s see I have little pieces, big pieces, and yardage. I guess I have a little bit of everything. I love the look of cival war quilts. The book looks very inviting!! I have a double closet full of repros, mostly FQ, strips, and scraps. Some larger yardage, but my idea of a great quilt is the more fabric the better and you don’t need large pieces to do that. 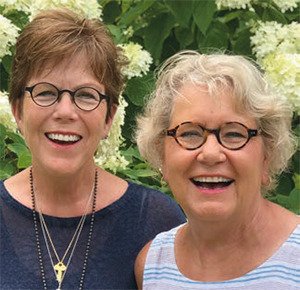 Mary and Connie have been two of my favorite authors for many years and I am looking forward to this new book. I hope they never stop writing. I have some Civil War reproduction fabric but not much. This book has great patterns in it and it would be great to have the chance to win it. I have lots and lots; I love the warmth they project into a quilt. What size of reproduction fabrics do I own? I would have to say that I own more fat quarter pieces than anything else. I have some yardage, but not a lot. Love reproduction fabric and anything written by Connie and Mary. Would love to win this book. Not scads but some precuts. 60 years playing piano is impressive. I have yards and yards, plus enough fat quarters to make all of the quilts in this gorgeous book! I love this book! I have a small stack of fat quarters, but I know where to get more! I don’t have much in the way of reproduction fabrics, but these quilts also look great in batiks! 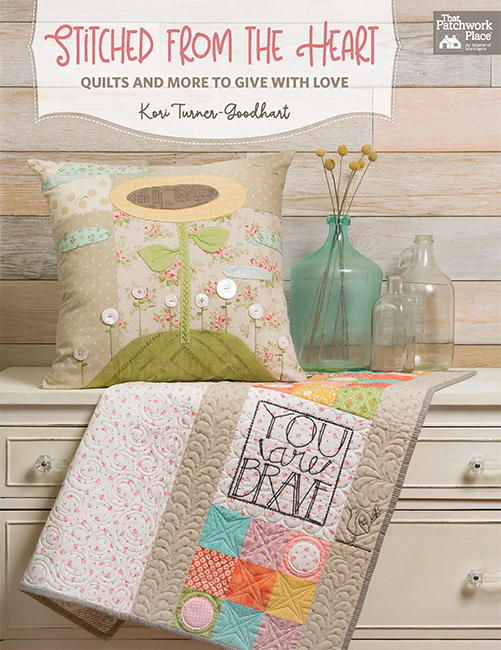 I have yardage and fat quarters and would love, love, love this book! I have a collection or two of fat quarter bundles. I am currently working on a kit I purchased to make one of the quilts from the Blue and the Gray. I don’t have any Civil War fabrics. The patterns in this book book amazing. So much love and time has gone into making these beautiful quilts, that’s so humbling. I’ve got only a few bits of civil war era fabrics, think it’s time to visit the quilt store again. I bought the whole line (1-yard bundle!!) of one of Pam Buda’s a few years back and periodically open that drawer and pet it! I’m waiting for inspiration to strike!! I will check out this book, and thx for the chance to win. I have very few reproduction fabrics. The quilts in this book inspire me to get with it! What I do have are fat quarters. I have all of the above(my stash is probably 50% CW fabrics) and enjoy making Civil War Quilts. Every quilt tells a story of life long ago….it’s more than just sewing and piecing…it’s a historical journey too. 99% of my huge stash is Civil War yardage plus a few pre-cuts and many many scraps. Love the looks of that book. I have fat quarters, scraps and yardage. I really love scrappy quilts. Scraps, scraps and more scraps. I keep using them up in projects! Hi, I love the civil war repro fabrics. I loved them before I even knew that is what this design of fabrics was. I don’t have lots of yardages, mostly either a yard or half yards, lots of scraps and many fat quarter pieces. I sure want to win your book, so please pick me. Am currently doing a civil war quilt with my small quilt group, so enjoying making the blocks. Thanks. 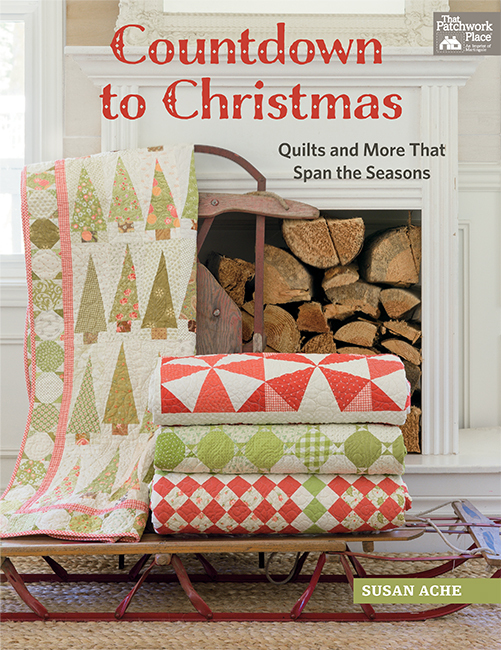 The quilts in this new book are fabulous! I have a little yardage, fat quarters and scraps. I do love repro fabrics from the time period. Would love to add this book to my collection! All of the above! I love the color palettes reproduction fabrics offer and find the stories behind the quilt patterns fascinating. Oh scads of all! I loved making a bullseye with friends several years back. I am also the proud owner of a quilt made just at the end of the civil war. It is my greatest quilt treasure I look forward taking more scrappy quilts! I don’t think I have any reproduction fabrics but I can envision making these quilts in other fabrics. Definitely all off the above! All of the above! I fell in love with reproduction years ago.I love the more muted colors,the pretty prints,and everything else about them.It’s all I buy anymore. I have a few "collections of reproduction fabrics for a specific project. thanks for giveaway! scraps…I bought a partially completed project with no extra pieces, so I am going to repurpose what’s in the kit. Waste Not, Want Not. I have some pre-cuts and have been searching for just the right pattern…perhaps it is in this lovely book! I own both scads of yardage and scraps, scraps, and more scraps. I don’t have any civil war precuts, those are hard to find around here. Thanks for the chance to win the book! All of the above! I keep making quilt tops but my stash of civil war reproduction fabrics doesn’t seem to be diminishing. I own a lot of scraps…need to get going on some scrap quilts that will eat them up. Love the quilts from this book. I’m keeping my fingers crossed for good luck!! All of the above! I love repros and traditional quilts. Would love to get my hands on this book. Thanks. Scads of yardage (we buy it by the metre)but mainly pieces as I am working on a BOM that is reproduction fabric line this time. As the blocks come together they are looking lovely. I don’t have much but would love to have more. Mostly yardage, but that creates lots of scraps. I have many yards of fabric and loads of precuts that all need to be made into reproduction quilts. I have scads of yardage and a stack of fat quarters. Any scraps I might have had have been added to all my other scraps into the scrap saver system. I have been working on a number of projects with Civil War fabric do I have yardage, scraps, precuts. I am fortunate to have it all except for your book. Love to win! Thank you for the opportunity. I have a mixture but mostly stacks of precuts just waiting for the right pattern or should I say….patterns! I’m a newbie so not tons of yardage or scraps but I have been collecting fat quarters since civil war fabrics came out and have more than 200 of them. I have only one 10″ precut pack, one jelly roll, and approx 20 2″ precut packs and a few 5″ precut packs and then some odds and ends. I love the colors and the graphics and have not yet made a quilt. I’ve been hoping to meet someone who quilts with these fabrics but nope, no one where I live likes primitives, hooked rugs, samplers, etc… but I keep buying and hoping. We also plan to move the day my husband retires! All I have are Civil War reproduction scraps – but I would love to use them to make some of the quilts in this book! I have some of each. I love the colors and patterns of these quilts! Would love to have this book! I have a good bit of reproduction fabric in yardage and scraps.Always looking for new fresh ideas. Would love the new book, Beyond the Battlefield! I have the other books already. Thank you for all you do. All of the above.😊 I love reproduction fabrics…..especially civil war era. I have Mary and Connie’s other books and am working on one of their designs right now. I love their designs. Yardage, which is in the process of turning into scraps! I have a little yardage, some FQs, some cut strips and squares. Enough to be using for the Rainbow Scrappy Challenge this year at Sew Scrappy. I am making Darlene Zimmerman "Twist and Shout" blocks (they look like paddlewheels). Fun! Thanks for the chance to win, this book looks just yummy!! I have stacks of precuts so I would love to win and get ideas for quilts to use my civil war fabrics. Thank you! I have all sizes, including more than 100 fat quarters, and yardage to boot. Would love this book to help use some of this stash up. Thank you for such a great new book. I have a ton of scrap pieces, larger and smaller, of Civil War replica fabrics I purchased at a rummage sale last summer. I also have some yardage I purchased online, and some pre-cuts that I purchased at a Jenny Doan trunk show when she was touring last summer and came to Green Bay, WI. I actually just finished a quilt top using a number of the scraps, and plan to finish another one this year that I had started 2 years ago. My boyfriend and I both love Civil War quilts, and he wants the one I started 2 years ago to be finished so we can put it on the bed. I have some civil war reproduction fabric’s, have been working on a sampler type quilt for my son for a couple years so always on the lookout for different blocks and ideas. Love what I see in your new book. Ohh I have scraps…. scraps…. and more scraps! Then there’s yardage… yardage… and MORE YARDAGE!! So would love this book! Thanks for the chance to win! Some of all the above! Love FQ’s for that scrappy look! Loved my visits to country threads an playing with the goats: esp Betsy when she was tiny! Mary and Connie couldn’t be nicer! All of the above! I’m just getting started with the reproduction fabrics; my latest addiction! All of the above! Your book looks intriguing! I have enjoyed several of your books and am a fan of reproduction fabrics. Scraps, scraps, love love scrapy quilts, this book looks wonderful. A few scraps but I definitely need more! I would love to have scads of yardage and stacks of precuts, but I do have some. It would be better if I had scraps, that would mean I had lots of quilts finished. I am in the process of making my first civil war quilt. So just started gathering fabric recently. It is addictive and I already have more than I will use in this quilt [It is scrappy, but for the most part I am buying yardage.] Would love to have this book. Precuts AND scraps scraps scraps. All of the above. 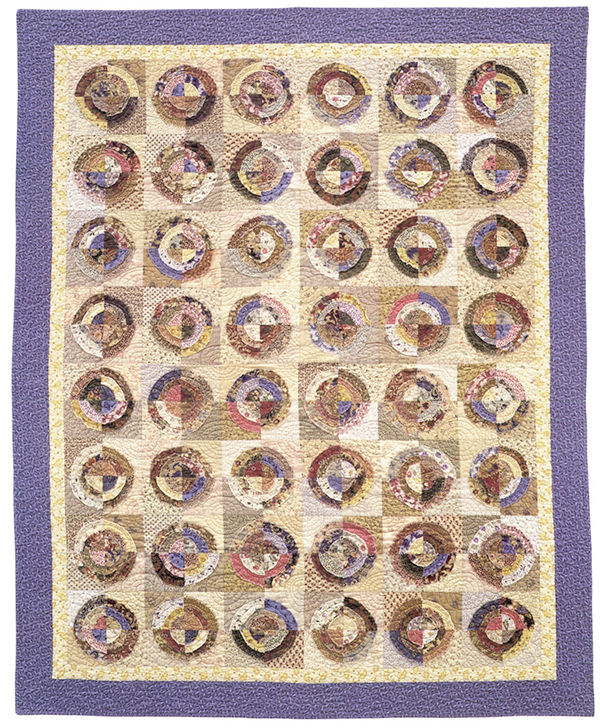 I love Civil War quilts and any information available relating to them & the brave ladies who quilted. If lucky enough to be selected as winner, I shall happily pay postage to Tasmania, Australia. My connection to the Civil War is through my Irish great grandfather who fought in both the Civil War & the Mexican War, then came to Tasmania and married. My preferred fabric is civil war, I love the colours and enjoy making quilts for my grandchildren and relating our connection with this historical event. I have mostly fat quarters of reproduction fabrics. All of the above! I love reproductions! I have a drawer full of Civil War fabric in yards or larger pieces. I’s nit easy to find Civil War reproductions in the UK and I have bought quite a bit when on holiday in the US. I’ve started – but not finished – a project but have far more fabric than I need to finish. I have a selection, but that has all be marked for a specific project (traditional needle turn applique) i do need more, i love the browns and blues, with dark greens. Much easier to use on my bed, husband not a fan of bright florals! I just adore civil war prints. To me they are synonymous with quilting. I really like Civil War prints and i have yardage and fat quarters galore. But i really love Country Threads anything!! I have several of their books and many patterns. Am currently working on their Bull’s Eye Quilt and loving it!! Would love to win their book Beyond the Battlefield!! The quilts in that book are awesome! Thanks for a chance to win! Scraps, scraps, and more scraps! What a fun looking collection. I miss stopping at their shop on my road travels. I have "all of the above". I love Repro quilts and have been collecting fabric for a long time. Very few reproduction fabrics in my stash. I have yardage,precuts and scraps! I love Civil War fabrics as they go together so well. I don’t own any reproduction fabric. This book would be a great start. Definitely all of the above! I have loved reproduction fabrics for so many years and have purchased them in yardage, pre-cuts and scrap bags. All of the books written by these two women are favorites of mine. Yes I have all sizes. That’s what happens when you love fabric, I guess. I was given a couple fat quarters, and have never made a quilt from reproduction fabrics. Surprisingly, the colors and prints are very restful and comforting, and I’d love the book for inspiration. Scads of yardage, half yards, to be exact! All of the above!!!! Looks like a great book! I don’t have any – like none – zero – scraps, that would be considered reproduction fabrics. I have “all the above” in Civil War fabric. I love the reproduction fabric from the 1800’s. Beyond the Battlefield is a beautiful book. I have quite a few Fat Quarters that are reproduction fabrics. I want to tell you that I love the quilt called Caring Hands – that blue background is gorgeous. I don’t have reproduction fabric but I have Scraps, scraps, and more scraps. I have scrap bags I purchased on sale at a quilting shop. I think I’ve been inspired! I have “all the above” in Civil War fabric. I love reproduction fabric from the 1800’s. Beyond the Battlefield is a beautiful book!! I’ve got a few fat quarters and a bunch of scraps of CW fabric, with plans to get more. This book makes me envy those with large repro stashes! I have a bit of yardage. I use all of the above. After reading several of the comments, I thought I should not post. I am a quilting virgin, no stacks of repos, no pre cuts, no anything pertaining to Civil War quilts. But then I realized…I want to learn. I am a Civil War fanatic! I love everything having to do with that era. I very much want to win this gorgeous book and get started in my new sewing room. Please pick me! mainly scraps and fat quarters- love scrappy quilts and have a good variety to try some of the quilts in this book! I have mainly yard goods plus some kits. Wishing for time to sew. All of the above, scads of yardage, scraps, kits. Love them all. I don’t actually own any – but this book would inspire me to buy some! I have a fabric addiction. I love scrappy quilts. The more different fabrics in a quilt the better. So I buy mainly small pieces. So I have scraps scraps and more scraps. I love scraps. All of the above. We are Civil War re-enacters so the repro. fabrics fit in perfectly. Love the patterns and research. I really like civil war fabrics/colors. I have a small collection and that I want to do up in patterns of the period, it just seems right. This book would be helpful in accomplishing this task. Scraps, scraps, and more scraps would define my little workshop. People are so kind – they give me their orphan scraps. I am just starting my second quilt. 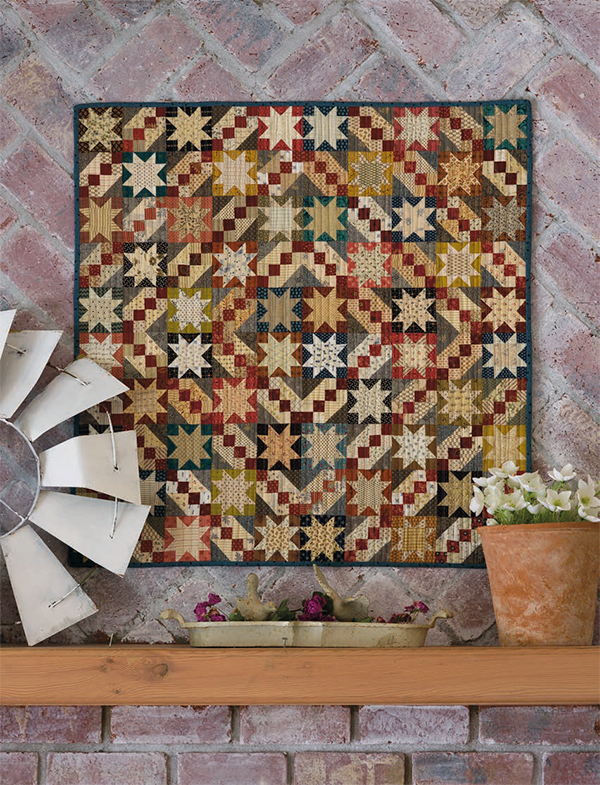 I am a Civil War fabricaholic and I love Civil War inspired quilts. I would love to win the book. All of the above! Would love to win this book to use my stash to make some of these beautiful quilts. Civil war quilts are my favorites!!! Would love the new book. Civil war fabrics are my favorite. I have stacks of civil war fabric and I have a few layer cakes of civil war fabric. I also have lots and lots of scraps. All of the above & I can’t wait to get started on one of the quilts from this book. I have yardage and lots of scraps. Love civil war fabric and quilts. I don’t have loads of reproduction fabrics, just some scraps and yardage, but I do love it! I sense more in my future! Love these scrappy quilts. I have lots and lots of scraps to make some beautiful quilts!! All of the above!! Reproduction fabric is my all time favorite! I love civil war repro fabrics. Have made 4 queen size quilts in the past few years using this style of fabric. So I have scads of scraps and yardage just waiting to be used in another quilt, big or small. ALL OF THE ABOVE!! I’m a fabric freak, what can I say? I love fabric! I love the book. I have been following Mary’s blog since I found her last fall and she introduced me to Bonnie Hunter. Or was it the other way around? Civil War fabric? I have very little, but I can always use the scraps I have. I own very few civil war fabrics. If I win this book, I know I will want to buy a bunch to make the quilts in the book! All of the above. I am addicted to Civil War reproduction quilts, fabric, and stories. I hope I win this book. Thanks for the opportunity. I am addicted to Civil War reproduction fabric, patterns, and stories. Would love to win this book. Thanks! Lots of scraps! Looks like a great book! I have bins and bins of civil war reproduction fabric, my favorite to collect. I like the book. What a lovely book! I have some reproduction yardage and scraps. This book has some great patterns to use with my stash. I love civil war repro fabric and save every scrap! I’d love to win this book. Confessions of a Fabric Collector: All of the above. Scraps, scraps, and more scraps. I have a few scraps of vintage fabric but they’re not civil war prints. They’re actual scraps from my grandma and great grandma. I only have a few yards. My local shops don’t carry much. Definitely scraps…I love this style quilt..makes me happy just looking at these quilts.. I have mainly stacks of pre-cuts and a little bit of yardage. 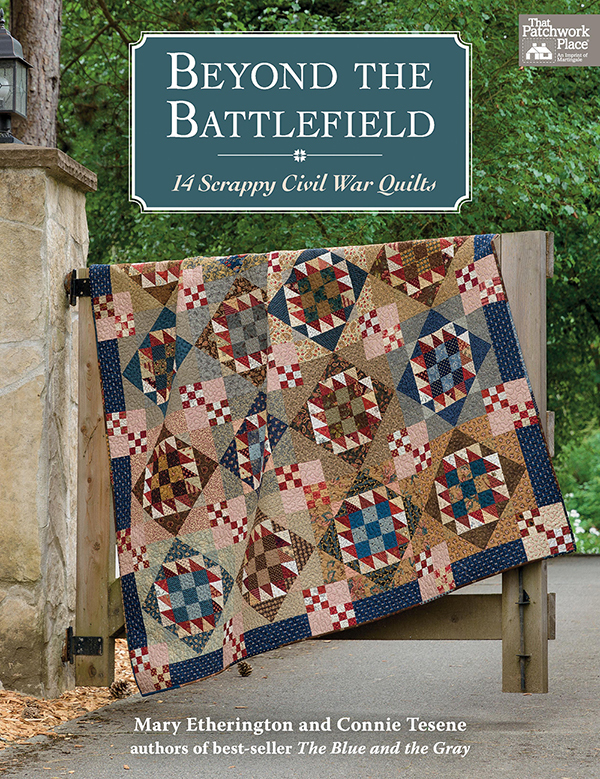 This new book looks delightful with great projects for my Civil War stash! Scraps scraps and more scraps and I have plans for them. Love those scraps. Not nearly enough but this book could inspire me to do some shopping. My entire stash is CW repros!! I have yardage…and precuts…and fat quarters…and fabric collection bundles…and, of course, many scraps! Love them all and never met a reproduction fabric that I didn’t love!! I love this interview and I can’t wait to see their new book! My collection of reproduction fabric is made up mostly of fat quarters plus I have a few not-too-long pieces of yardage. I love reproduction fabric but mostly what I have is small amounts of yardage and tons of scraps. Tons and tons of scraps. I can’t throw away fabric unless it is just too small to be usable. Simply, all the above. I have followed Country Threads blog for several years now and have been either inspired and/or entertained. I have been looking forward to the release of their newest book, Beyond the Battlefield. Thanks for the chance to win a copy. I have tons of Civil War repro fabrics. Love them! I love the look of civil war quilts. I don’t habe much of that fabric in my stash. OH my – I think I bought some reproduction fabric from a quilt guild last month, at the Road to CA show in Ontario, California. So the answer is no fabric yet, but I love the lighter colors. My reproduction fabric tank is on empty! I have some yardage, a cornucopia of fat quarters and scraps. Right not it is just scraps, scraps and more scraps! I have very little civil war fabric, I definitely wouldn’t mind buying some more to make one of the beautiful quilts from this book. I own stacks of fat quarters along with some ½ yard cuts. I’m fairly new to reproduction quilts. I’ve only made doll size to this point. But I adore the fabrics and the quilts they make! I don’t have lots of reproduction fabrics, just a few yards, I think. Thanks for the inspiration. Scraps for me -all I need! Love this book! I have a bin filled with yardage and scaros. These quilts are lovely!!! I have scads of reproduction fabric yardage, the first 2 books and some fat quarter precuts. What I don’t have is the time to do all the things I would like to do. Thanks for the giveaway. I have some yardage, lots of Fat Quarters and scraps to use in my quilting. I love the Heartbeats quilt, It moves me and is very eye catching. All of the above and then some! It’s my favorite "genre" of fabric. Scads of yardage and want more! I own SCADS of yardage….I am addicted to CWR. I have one package of precuts and a good excuse to go shopping! I have a few fat quarters and some scraps. Obviously I need to get more! I would love to make Hiding in Plain Sight to hang over my fireplace. It is beautiful! I have started quite a collection of Civil War Reproduction fabrics. I migrate to those types of color and designs anyway. I also have two of the Civil War pattern books. Love them. Yes, all of the above. 19th century style fabrics is by far the largest in my stash. I have yardage of the civil war prints. I love the patterns. I have just ordered some pre-cuts of reproduction fabric. I have had the desire for quite a while to make civil war quilts, but I’m just getting started on that at this time in my life. I have a tub of reproduction fabrics – mostly fat quarters. They are to be made into a log cabin quilt. However, there just might be enough to make something from this book also. Ha. Love the Civil War era quilts. This book looks wonderful and the quilts in this piece are Beautiful. Scraps and yardage, need a good book to use them on! Beautiful designs. I am an avid fan of Mary & Connie and the Chicken Scratch blog. Lived on and around farms in Iowa and Nebraska as a teen so can relate to so many of the things that occur on the farm. I am so delighted that retirement has not slowed these lovely ladies down for a minute, they inspire me so much and for that I am ever grateful. All of the above! reproduction fabrics are my favorite, and I have alot of fabric more than I count in 1800s prints! All of the above. Stacks of precuts, etc. Love the Battlefield designs. I usually buy material by the bolt. Embarrassed to admit — all of the above! I have all of the above of reproduction fabrics; I"m just waiting for a special project that "speaks to me". I own some yardage and some precuts. Hmmm, Civil War repros — all of the above after more than a few years of focusing on that fabric genre! I also have an early Country Threads design (from the very first issue of APQ!) hanging in my livingroom right now — it’s also one of my most favorite lap quilts. Love these ladies!! Scraps! Scraps! And more scraps! Civil war repros — tons of fabric, precuts & scraps galore! Yep love those civil war fabrics & LOVE Country Threads. Follow their blog religiously! Looks like another great book!! I have fat quarters and scraps, just starting my collection of civil war fabrics and 30’s fabric. I have some yardage and fat quarters right now—and lots of scraps. I can’t bear to throw fabric away. The bulk of my stash is reproduction fabric in stacks of pre cuts, mostly fat quarters. I also have a smattering of half yard cuts. I have these ladies other Civil War books and would love to have this one also, so many beautiful quilts. I don’t have any reproduction fabrics in my stash but looking at thesebwinderful quilts need to add some. My stash invludes all if the above. Love the civil war patterns and colorwsys. I’d love to add this book to my library to inspire me to use more of these beautiful fabrics! I have yardage of 3 civil war repos, several fat quarters, and some scraps. I will enjoy this book! I have a large selection of civil war reproduction fabrics, so there are all sizes of pieces. Large pieces for backing/borders or just because I really loved the fabric to fax quarters or 10 in squares or even tiny little pieces because I have used most of a piece, but save even the little bits for future quilts. Having worked my way through my yardage, I now have scraps, scraps, and more scraps. Love the Q&A with Mary and Connie! All of the above!!! Thanks for the chance to win. All of the above. It’s my favorite fabric! Scraps, more scraps and a few half yard cuts. I have civil war fabrics in all sizes and I sort my fabrics out buy size and color in drawers. I have made a few of Mary and Connies patterns and can’t wait to see what they have come up with here! I just love civil war fabric and have quite a stash of them. Presently I am working on one of Kim Diehl’s quilts. I would love to win a copy of this book because just the photos look so inspiring and I love the colors too. I have a drawer full of Civil War fabrics and need patterns to use them up into quilts, runners or whatever. Oh, I NEED this book as I have scads of yardage! Thanks for the chance and preview of this great book! I have all of the above, just love the reproduction fabrics. This book looks great and I can hardly wait to add it to my stash and choose the first quilt to make. I have yardage and precut of reproduction fabric. Have been collecting them as they are my favorite, but are hard to find at my nearby Quilt shops. I need to start sewing. Thanks! I have some of all of the above. I have scads of yardage. Lots of yardage and fat quarters. Yardage, I went through a spell of wanting to build my reproduction stash and have lots waiting to be used. This book would be great to do just that. Actually my answer is none of the above, but I really like some of the patterns in the book. I have some yards and many fat quarters of reproduction fabrics. Lots of scraps have also accumulated as I can’t part with the little bits of the lovely fabrics. Stacks of fat quarter reproduction fabric. I have a few pre cuts but scads of scraps. I started collecting civil war fabrics not too long ago, so I would say I have a fair amount, but not scads of yardage. I love this book and I love scrap quilts and I have fabric. Win, win, win. I have mostly fat quarters, but I try to buy yardage of background colors, or patterns for borders. All of the above but mostly yardage. I am drawn to civil war reproduction prints more than any type of fabric! I have stacks of yardage and scraps of Civil War reproduction fabrics. It is my favorite style, and this book looks wonderful! My answer to your question is all of the above. I’m drawn to the lovely soft colors of civil war prints. I enjoy making any size quilt but especially enjoy the miniature quilts. Your book is inspiring. I have some yardage and lots of FQs. I have a few yards of reproduction fabric. I don’t know if I have any. I pick fabric because I like it. So I really don’t know what it is. I have some precuts (6 inch squares from an exchange), a little yardage, but mostly fat quarter of civil war reproductions. In 30’s reproductions, I have lots of fat quarters. A few precuts, a moderate amount of yardage, and LOTS of small pieces and scraps. P.S.-Mary’s blog is a delight! I love it! Yardage, scraps and FQ’s are in my CW stash! Some fat quarters, scraps and a little bit of yardage. I go more by color/tone than whether it’s a reproduction fabric. There are many many ways to visualize these wonderful patterns. Some scraps, pre-cuts, fat quarters. I’d love to try the projects in this beautiful book! Thanks for the giveaways! Mostly fat quarters and scads, scads, scads of scraps. CW colors speak to me. Love the more muted color fabrics. And thank you for the link to their blog. Signing up now! Mostly scraps, but I am working on a block of the month from a local shop that uses reproduction fabrics. My collection included yardage, kits and scraps! I love my stacks of fat quarters and big box of scraps! I have stacks of precuts. I bought one 5″ square pack of reproduction fabric and loved the outcome. I don’t have any reproduction fabrics in my inventory. If I win this, it would give me reason to buy lots of reproduction fabric. i have some 30’s fabric from a quilt i made for a friend. i don’t have any civil war reproduction fabrics. i love to read the country threads blog and get the country thread email. I have all 3! I love repro fabric and get more very often. I get yardage, precuts, scrap bags…whatever they’re selling or giving away, I’ll take it! This book looks wonderful and I really hope I win! thanks for the awesome giveaway and opportunity! All of the above as I have tubs of yardage, several precuts, and a basket of scraps! I love books that also have a history to go with them. This book sounds marvelous! I have mostly yardage and some scraps–some almost vintage. I have scraps and a few pieces of yardage- I love shirtings but haven’t indulged much. Just finishing a string quilt top from a class I took with Connie 20 years ago!! It has been on my ufo list for 2 years. I mostly buy half yards and fat quarters, so now I also have scraps of those as well. This looks like such an interesting book, thank you for publishing it and for offering a copy in a drawing. I’m not a fan of precuts – that zig zag edge makes me nuts. But I do have quite a few civil war reproduction fat quarters and yardage. CW Repro fabrics are my favorites. I try to make some modernish quilts now and then, but I always come back to civil war repro. It’s my happy place. Stacks of precuts and some scraps. Primarily scraps with a few precuts, especially light neutrals, to fill out my collection. I believe I have a few fat quarters, and I have 5 inch squares. I had some backing, not sure if I’ve used it. Thanks! Does an unfinished quilt top count? Reproduction fabrics are my favorites! I have all of the above in my collection and would love to add this book to it. It looks beautiful! I have their first two books too! All of the above. I love reproductions. They represent our countries history. I would really like to make some of these quilts. I have a small variety of pieces. Not enough to make a quilt. I do like to Quilts I have seen. They are beautiful! I have various scraps and a few 1/2 yard pieces left from 2 Kim Diehl projects. I have a friend who loves Civil War and repro fabrics and designs. I would give this book to her! YI have some scraps and a few fat quarter of reproduction fabrics. I also own some old material I found at flea markets! Have mostly fat quarters and lots of scraps!!! Reproductions are my favorite. I have all of the above. My favorite quilts are Civil War. I think they are always in style and can be used with any decor. This books contains very attractive patterns. Have mostly fat quarters and lots of scraps. Reproduction fabrics sre my favorite! I have it all Fabric by the yard, SCRAPES AND MORE SCRAPES and blocks to turn into a quilts. Too much Linus right now to work on my Civil War quilts. My 1930s reproduction stash includes lots of fat quarters plus some yardage. My interest in Civil War reproduction fabrics is more recent, but I have collected some pattern books for inspiration. My row by row quilt was a shop winner, and I received 25 fat quarters of Civil War reproduction fabrics as part of my prize. That’s a good start toward building my CW stash! I have a few precuts of civil war reproduction fabrics to go with the scads of pattern books, lol. I own only a little civil war repro fabric. I need to develop a feel for that fabric looks like. It would make shopping easier. I have scraps and need more patterns to use them. I do have reproduction scraps that would look great made into one or more of these great patterns. I have ALL of the above…and then some! I love the Civil War reproductions. I’ve purchased a few fat quarters to reproduce a quilt made by my great grandmother, who was alive during the Civil War, and probably made the quilt a few years after the Civil War. It has been “loved up” aka worn out, has some deteriorated fabrics, and large blocks of red which are still very vibrant. I’m currently working on Civil War BOM, and enjoying the fabric more than I expected. I have a large dresser drawer crammed full of reproduction fabrics. Mostly fat quarters, some yardage, and a few scraps. Still haven’t started my patriotic quilt or my tribute to the civil war era. I usually buy fat quarters to 1/2 yard pieces of reproduction fabrics. I love my reproduction quilts to be scrappy! Stacks of precuts (fat quarters) with some half yard cuts. I don’t own any reproduction fabrics….yet! I have lots of scraps. Can’t throw anything out, no matter how small. I have lots of reproduction fabrics mostly in the form of fat quarters. I love learning about people and life during the Civil War. Thank you for this great giveaway. I own lots of fat quarters and yardage and several patterns for all that great fabric. A new book would be motivation to get started using all these great fabrics! Fully half or more of my stash is Civil War reproductions! I love the colors, the look of the quilts when they are done, and the patterns. Thank you for a chance to win this book. I will LOVE it! That was a great interview, too. Thanks for that. I don’t quilt so would give this as a gift. I have a few, but I need more. This book looks very interesting to me, because I always love a story. I have some pre-cuts, scraps and limited yardage of reproduction fabrics. I am currently working on a BOM sampler using civil war reproduction fabrics. Scads of yardage. One of the first quilts I made was the bulls eye – been in love with their patterns ever since. I would say Stacks of precuts, but you can never have too much fabric. Yardage, yardage, and more yardage. I love scrappy quilts and that is perfect for Civil War quilts which is what I love to make the most. Oh my goodness….these old looking fabrics fascinate me…I have way too many for so many different quilts….they are my favorite because they are so easy to blend together…love love love them all….small scraps equal more and more yardage…. Scads of yardage, Stacks of precuts, Scraps, scraps, and more scraps in other words I have all of the above. HAHA! I love reproduction fabrics and quilts. I collect all of the above, but especially fat quarters because the scrappy look is my favorite quilt style of all. A friend gave me several pieces of Civil War fabrics. Now to find patterns. Beyond yhe battlefields may be my answer! Not much in the way of reproduction fabrics but lots of scraps and precuts. Thanks. I have all the above, scraps, fat quarters, and yardage!! Not too many precuts, tho. I love antiques, and they fit so nicely, like they’re old friends. I am Scraps, Scraps, and more Scraps. I have lots of fabric but don’t keep my Civil War yardage together and I prefer yardage to precuts. I have scads of yardage of Civil War fabrics, so I really need this excellent book. I have a collection of Civil War fabrics that I have chosen on a trip to Oregon. I am intrigued by the Civil War and just read a book entitled: Confederates in the Attic. So interesting. Non-fiction. I have scraps, scraps and more scraps. Some are so old, they might not even be reproduction! Half yards and fat quarter towers from Jo M collections, as well as Kim Diehl kits. Reproduction fabrics are a favorite of mine. I’ve got scads of yardage and fat quarters in reproduction fabrics, scraps too. Have loved Country Threads’ designs for years. Looks like Connie & Mary have done it again! I have mostly fat quarters and some yardage. Thanks for a chance to win! I have mostly scraps now. They started out as bigger pieces but have been used over and over until most are small pieces. I did hit an incredible garage sale with lots of civil war last fall so have some yardages too. Can’t wait to make some of your quilts from this book! I have all of the above, (yardage, precuts, scraps), but the fabric I have the most of is mainly fat quarters. I love doing scrappy quilts and this is the way to create the illusion of using scraps with little cost and effort. dquilterguy48329 (at) prodigy (dot) net . I have a little stack of precuts that I’m saving to make a quilt like one of these in this book! What breathtaking quilts! Simply beautiful! I don’t have any. I am just starting out with quilting. I don’t think I have very much in the way of Civil War fabrics. If I have any at all, it would most likely be scraps. I really would like to take the time to learn more about the fabrics from the Civil War days. I don’t have any reproduction fabric. I have loads of civil war fabric plus lots of scraps. Love, love, that time period and the colors of the past and present. Fat quarters and Scraps of reproduction fabric! I am drawn to dark and med-dark fabrics but I do not own any reproduction fabrics. I have a small tub of about 40 civil war fat quarters and probably twice that amount of 30’s reproductions. I am hoping to get some quilts made with both of these collections. This book looks like a great one. I have some yardage, and tons of fat quarters and half yard cuts. I need to get sewing! I have all of the above from many different sources.